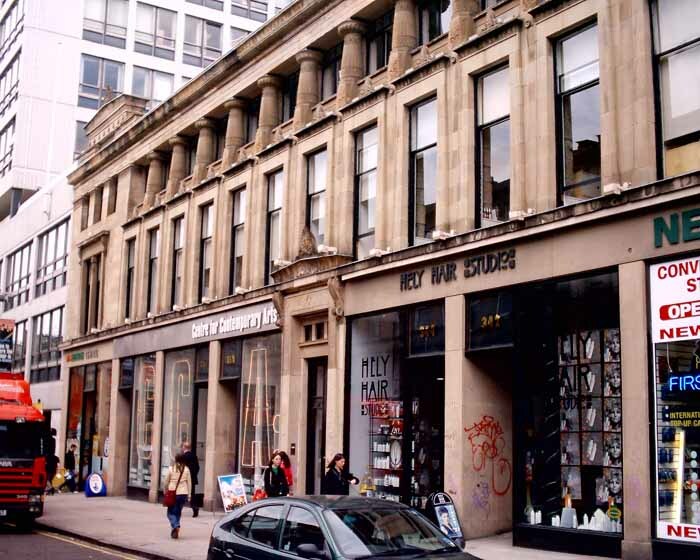 220 St Vincent Street, Glasgow, a Grade B listed building, has been sensitively and excitingly redeveloped by architects Holmes for developers ING Real Estate. 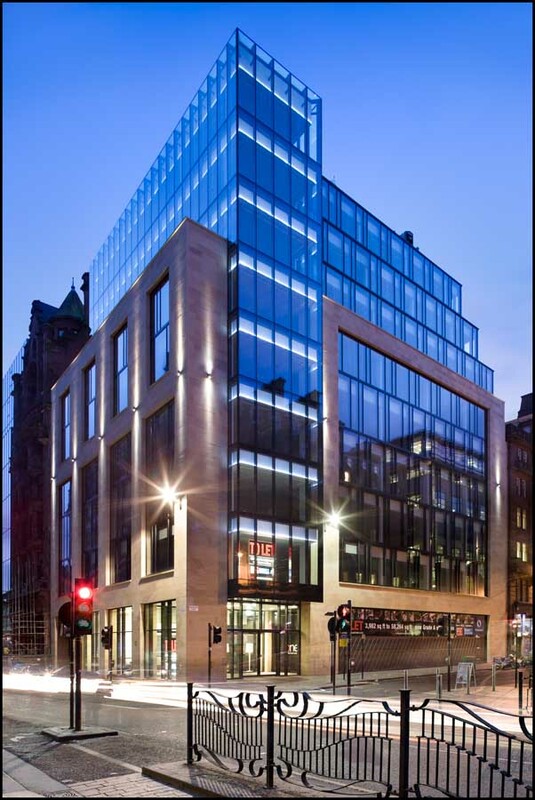 Reinvented as a sophisticated office development, 220 St Vincent Street can lay claim to being one of the city’s most desirable new commercial premises with state-of-the-art facilities and a strategic location in the heart of Glasgow’s Financial Services District. 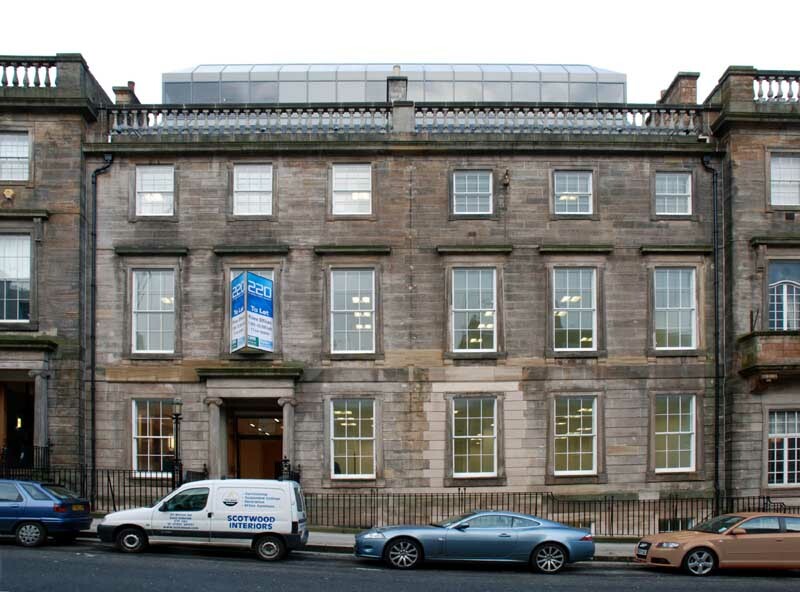 Behind the retained classical elevation sit six floors of 1st class contemporary office accommodation. 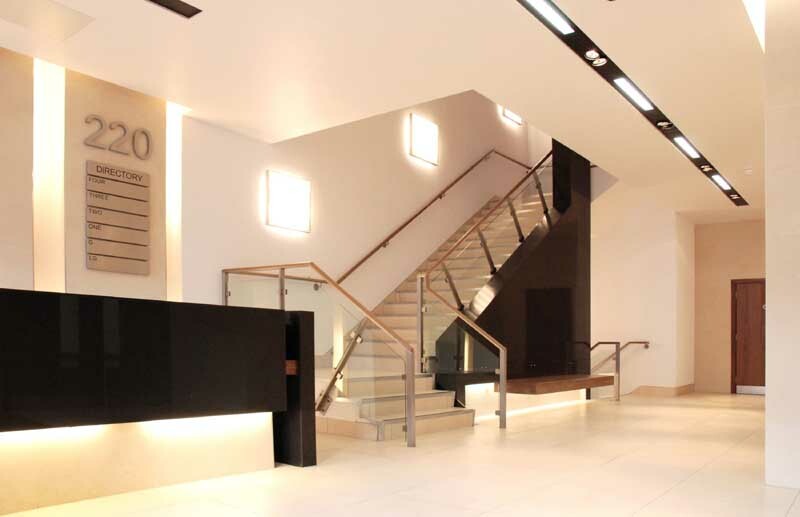 Highlights include an attractive reception area with luxury fittings and subtle lighting, high speed lifts and a redesigned new external courtyard area on the 3rd floor. This previously underused and gloomy space has been improved dramatically with the addition of a sandblasted glass screen complete with programmable LED lights. Holmes and contractor, Chard Construction Ltd, overcame a number of significant technical and logistical problems during the redevelopment of the site. 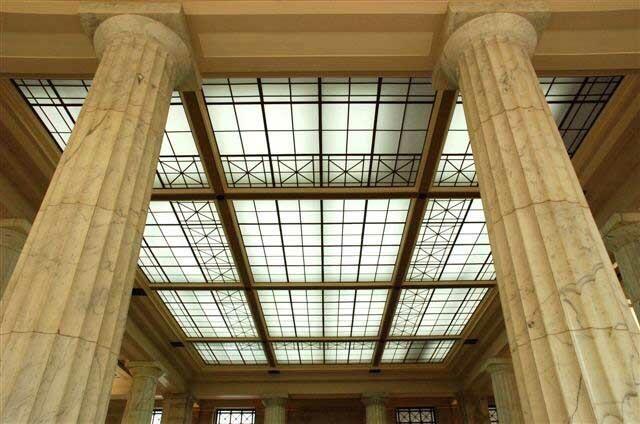 Not least of these was the need to strip back almost the entire building to its basic structure behind the listed elevation and reclad from basement level up. 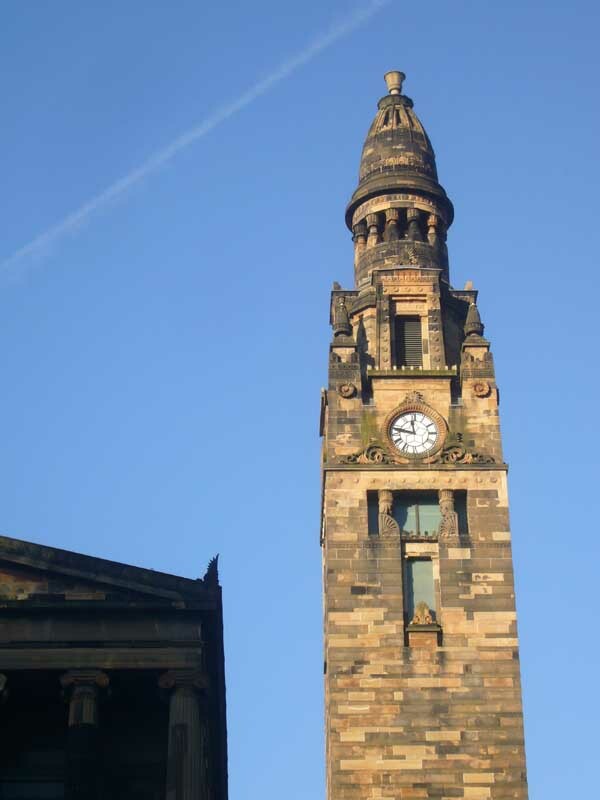 Also, concerns from the Heritage and Design Department of Glasgow City Council relating to the listed status of the building and its important location needed to be addressed and resolved. 220 St Vincent Street was formally opened on Friday 8 February 2008. 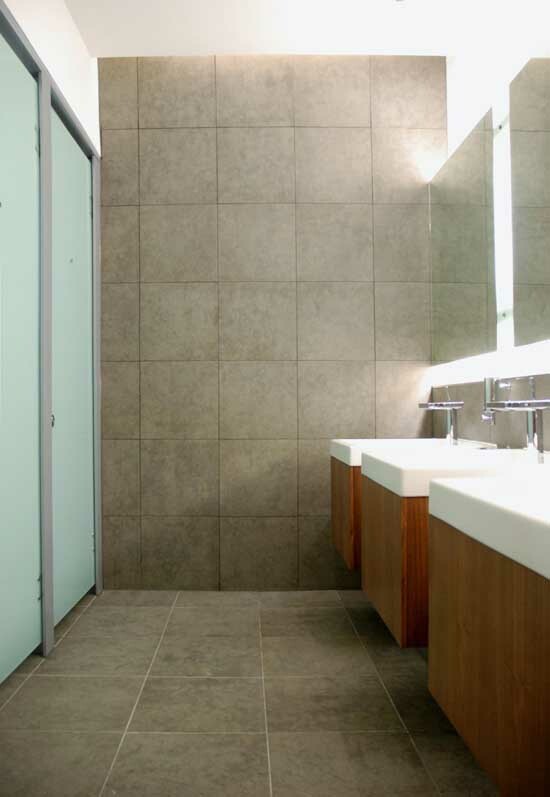 Designed to British Council for Offices (‘BCO’) Class A standard, the building has a Very Good BREEAM rating and is fully DDA compliant.